Banana plant is a nature’s gift to humanity because all parts of this are useful to mankind. 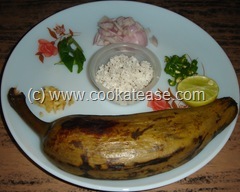 Raw banana, banana stem and flower are used for cooking. 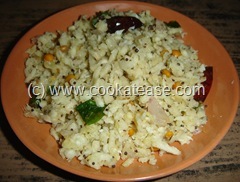 Leaf is used for serving food. Banana plant based dishes are more in south India. Raw banana (Vazhakai in Tamil) podimas is a side dish prepared by boiling raw banana and uses less cooking oil. 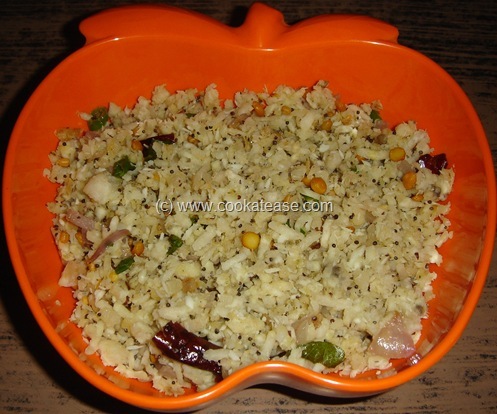 It is a very simple dish and can be prepared quickly. Boil, peel and grate the raw banana; you can boil in any way, I did in pressure cooker. 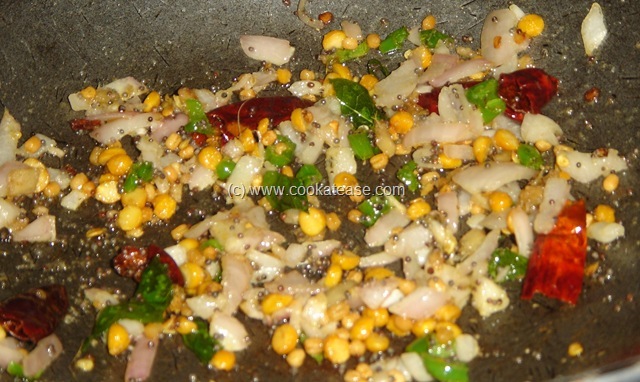 Heat a pan, do the seasoning with given items; add chopped curry leaves, onion, ginger and green chilli. 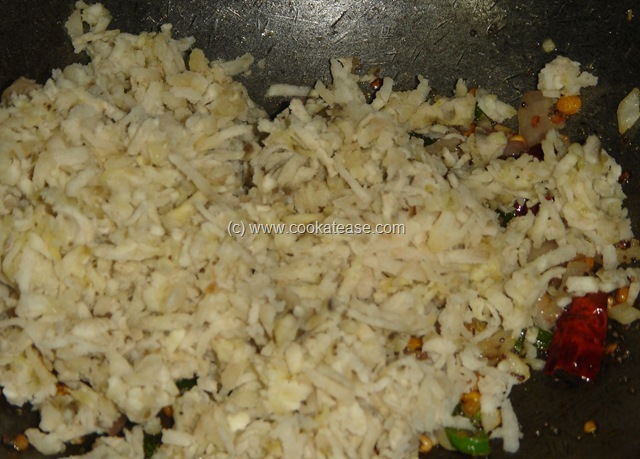 Fry until onion is soft and transparent; add salt, grated raw banana; mix and cook for a few seconds; add grated coconut, mix and switch off flame; add lemon juice. 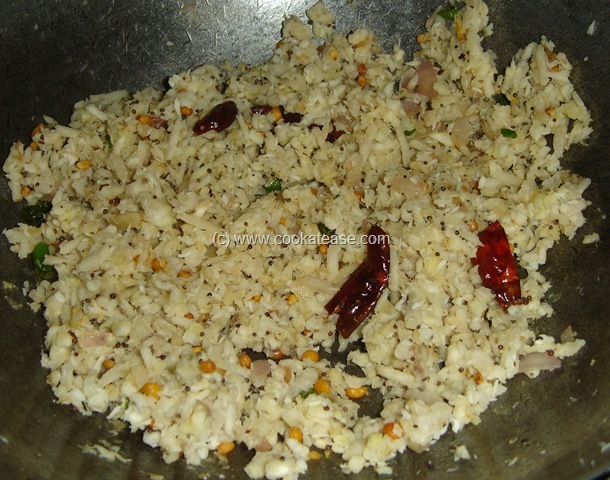 Vazhakai podimas is ready; serve with rice as side dish. Grate raw banana only after boiling, as it does not stick in hand and is easy to grate. 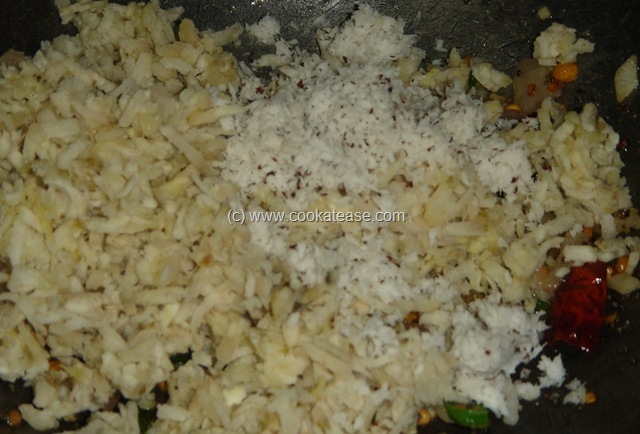 Avoid heating the pan after adding grated coconut. Add lemon juice finally after removing from flame. Sounds very authentic to me. Love Vazhaikkai podimass. First time to your blog, you have a pretty good space here…love the logo on the side, very creative.